This is more or less what The Horror Hive will be about. 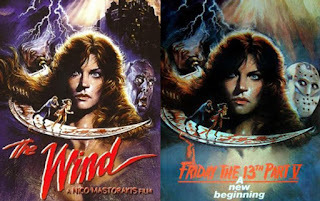 Here we have an interesting article about the Turkish Friday the 13th Part V: A New Beginning poster and its similarities with another poster for the film The Wind. Well, obviously we know The Wind (also known as Edge of Terror) had this artwork first since the star of The Wind, Meg Foster, is depicted in the artwork. But strangely enough, The Wind was released in the USA in November of 1987 and Friday the 13th: Part V was of course released in 1985. However, this is the poster for the theatrical run in Turkey, which started January of 1987. So that being said, this poster was released to theaters (probably) January of 1987 when The Wind wasn't released until November. 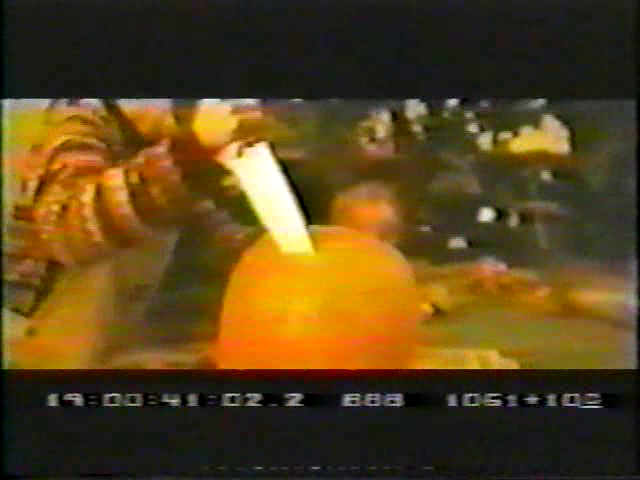 So, perhaps the direct-to-video The Wind had its cover art long before its release. 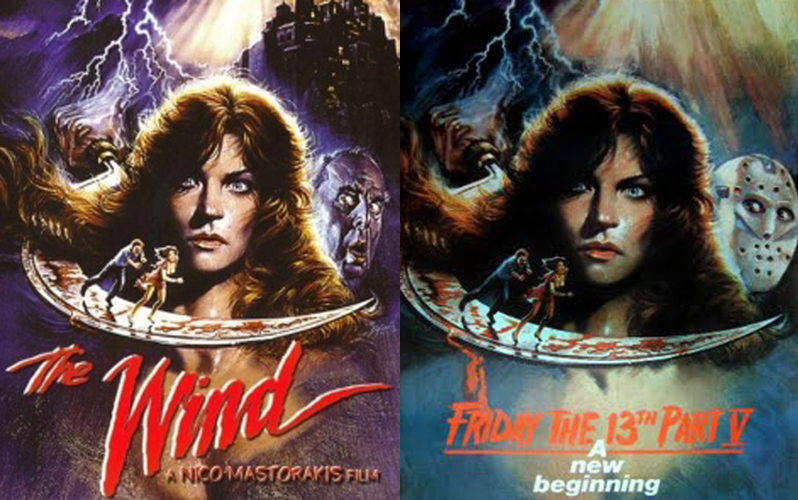 I think the fact that someone simply stole the artwork, airbrushed a hockey mask on the guy and threw on Friday the 13th: A New Beginning while keeping Meg Foster is priceless. I wonder of she knows that she is on the poster artwork for a Friday the 13th movie despite never being in one? The purple in The Wind has also been turned blue for the Friday the 13th: Part V artwork and the castle has been airbushed over. Also if you look closely at the scythe on either poster, you see a paramedic running after a female. 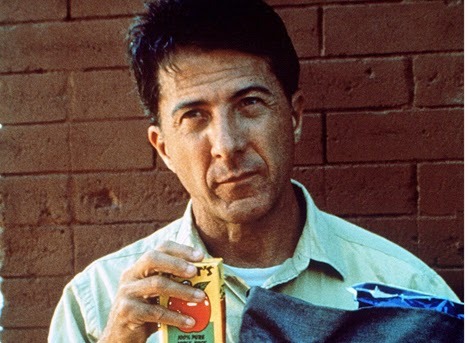 We all know that paramedic Roy was the killer in Friday the 13th: Part V, so was this just an odd coincidence? I am quite sure not many movie goers in Turkey payed close attention to this poster, but it sort of gives away the movie. But what kind of nerd would actually over-analyze these posters ? The above article was reposted with permission from "Ole J.C." of Friday the 13th: Today.